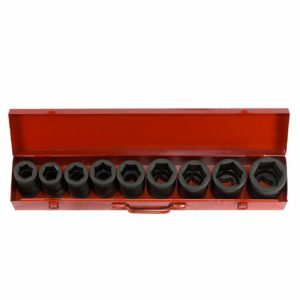 Part Numbers 04106A and 04109A Neiko Tools USA(It is an import)….. 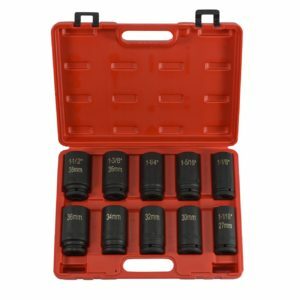 These DuoMetric sets each contain a 27mm(1-1/16″), 1-1/8″, 30mm, 1-1/4″, 32mm, 1-5/16″, 34mm, 35mm(1-3/8″), 36mm, and a 1-1/2″(38mm) size socket. 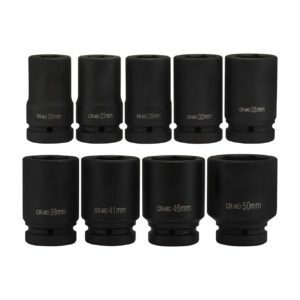 These are Chrome Vanadium Steel with a Black Phosphate Finish! 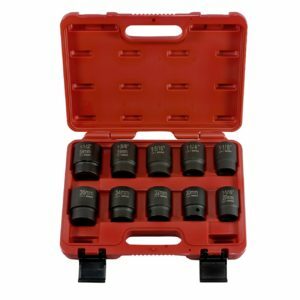 26, 27, 29, 32, 35, 38, 41, 46, and 50mm size sockets as well as a heavy gauge metal case. 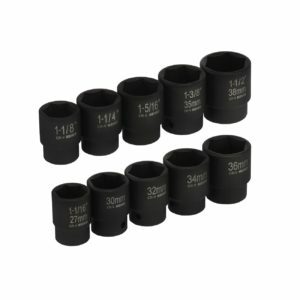 Made of Chromoly Steel this is a really nice set of sockets.